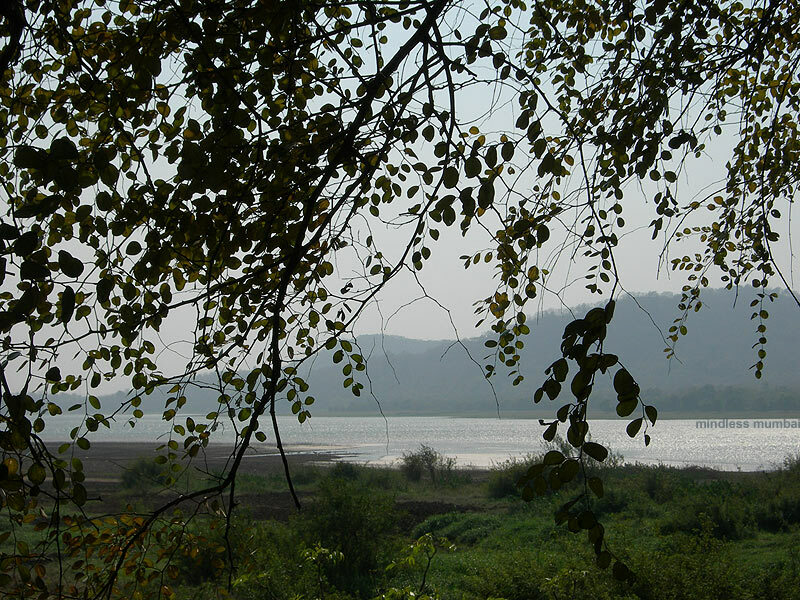 photo of vihar lake, as seen from the bahndup water treatment plant. mumbai is perhaps the only metropolis in the world to have a national park within the city limits. the borivali national park is home to incredible diversity of flora and fauna, including some big wild cats, along with three lakes: vihar, powai and tulsi. this photo is a complete contrast to what i had posted for the feb theme day about what people think, when they think of mumbai. see that pic here . That 's very good to have such a big park 'in' the city. And it's a wonderful photo with the leaves making a great foreground for the silvery water. Yes, I agree with the foreground leaves. Is it raining there? The sky seems dark.